New models of K-12 schooling to rethink education, and innovative practices to boost achievement. Fellowship recipients will be notified in early Spring. We will work with fellowship recipients to set appropriate deadlines for publishing their work. 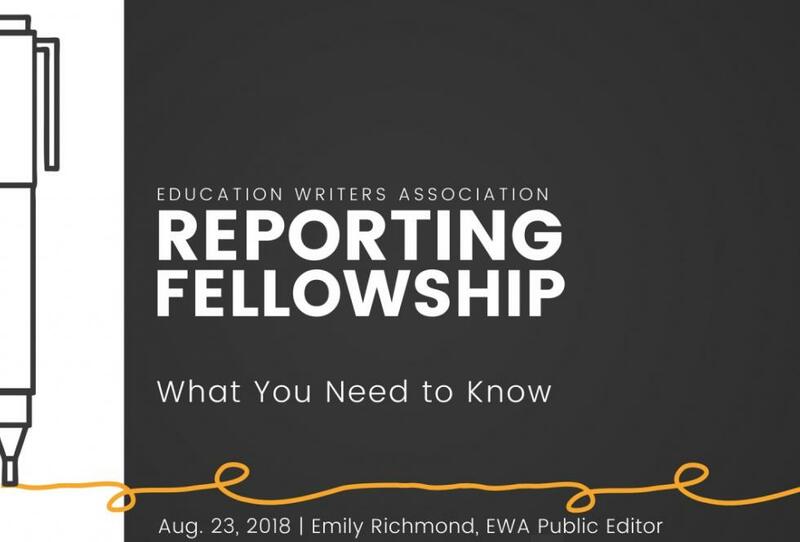 The EWA Reporting Fellowship program is supported in part by grants from the Bill & Melinda Gates Foundation, Carnegie Corporation of New York, Joyce Foundation, Kern Family Foundation, Kresge Foundation, Lumina Foundation, Nellie Mae Education Foundation, and the William & Flora Hewlett Foundation.